Athletes whether professional or amateur, young and old, during training and competition or even during off-season are exposed to varied environment (e.g. bacteria, viruses, parasites, fungi and malignancies) that could affect their health and their readiness and preparedness to competition when and where they needed it most … to be 100% healthy much more to be in tip-top condition at all times … or as what Johnny Miller (World Golf Hall of Fame and NBC Sports Analyst) had said … to be in “world-class conditioning for hall of fame performances”, thus, awareness is a must … that every athlete should know that they need to maintain in top shape condition at all times and that there are products and supplements that could help and support them in their quest for greatness … products that could address their needs physically far above than any other products that are available … a product that is back-up by science, numerous clinical studies & research, success stories (actual experiences and testimonies), and time-tested by the athletes themselves in various sports they are in. Recent health problems and issues to many of our athletes, in chess for one, during competition especially on the late rounds of a long, tedious and tiring tournament, where they seem to loss fire on their games, some says due to fatigue and to some illness … are actually due to the state of their immune system. The longer the tournament is … the immune system weakens due to various factors i.e. lack of sleep, fatigue, improper nutrition, stress, etc. and owing to these the body is now very susceptible to various illnesses. The immune system is a wonderful, sophisticated network of cells and molecules in our body created by God, that constantly strive to maintain our health and well-being. It is the “doctor of our body system” responsible for all aspects of our health. But just like the doctors or any other systems, from time-to-time, it needed to be educated, enhanced [boosts Natural Killer (NK) cells activity a proven 437%] and balanced or in short maintained efficiently. What then it is ??? I’ll be sharing here about Transfer Factor, a patented product of 4Life® Research U.S.A. 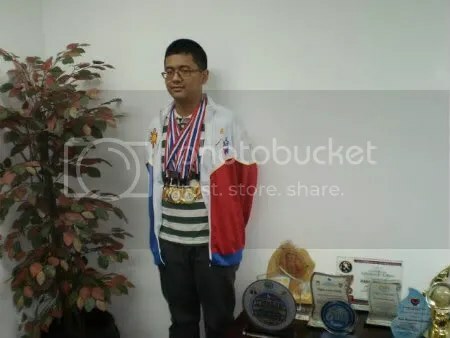 This blog page came about as a result of FM Paulo Bersamina, the most be-medalled Philippine player with six(6) 2-Gold [(U14-Standard, U14-Rapid), 3-Silver (U14Team-Standard, U14Team-Rapid, U14Team-Blitz), 1-Bronze in U14-Blitz] in the 13th ASEAN+ Age-Group Chess Championships held in Vietnam from 10th to 19th June 2012, revelation in his forum under username spartan1998 at chessgames.com (see page 22 dtd Jun-22-12) where according to him he suffered fever, cough, LBM the last 2 days of the tournament. And i believe these illnesses cost him to duplicate his feat in 11th ASEAN+ Age-Group Championships (2010) U12 where he got a triple Gold in Standard, Rapid and Blitz but instead settled for Bronze this time in Blitz after winning 2 Golds previously in Standard & Rapid. I could only sigh and utter … if only he had Transfer Factor (TF) ? Likewise, similar experiences of this nature at one time or another could also be said to other players and if our memory permits we could readily recall who they were … very recently, a few years ago or a long time ago ? 4Life® Transfer Factor for the record is the “First Dietary Supplement” approved by the Russian Ministry of Health for use by Doctors and Hospitals in Russia starting Oct 2004. Of course, this was a result of Russian Scientists & Doctors numerous clinical studies on the products. This approval establishes a new role of dietary supplements in the Russian health care system. On Top of that, in 2007, the Federal Anti-Doping Center in Moscow, Russia, certified, admits and approved 4Life Transfer Factor for use by Olympians in practice, training, and competition. 4Life Transfer Factor® Products meets the gold standard in Russia and that is unprecedented for a non-Russian product. 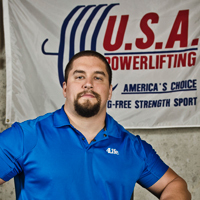 “I’m uncompromising when it comes to what I put in my body, both on and off the course. That’s why I supplement with 4Life Transfer Factor on game day and every day.” Ian Baker-Finch, CBS Sports Analyst, Winner of 16 Tournaments Worldwide, Winner of the British Open and on all four Major Tours. “I am 52 years old and competing in my fifth Olympics, I use 4Life Transfer Factor Plus® to help keep me at the top of my game. It provides the well-being and healthy energy support I need to continue top-level competition.” Mark Todd(Rider of the 20th century by the International Equestrian Federation. A four-time Olympic medalist, including two gold medals). For more than four years, me and my family had greatly benefitted too from Transfer Factors products. An 8-years asthma to one of my kids was gone in less than two months taking Transfer Factor. My high blood pressure that went up as high as 210/100 was controlled & normalized since then. My family had not visited our family doctor’s clinic or hospital the past 4 years. Simple colds, fever gone in less than 24 hrs and many more. We’ve been sharing the products to our relatives, friends and people we meet and astonishingly had witnessed miraculous healings i.e. dengue, tumors, cancers, myoma, kidney stones, blood disorders, heart enlargement, cardiovascular diseases, diabetes, varicose veins and many more. So why not then recommend this to our players ? FM Paulo Bersamina, at 14 and a high schooler, got interested with my initial post in this blog and i know he is willing to try it. My recommendation that he will start to use it during practice, training, and competition, just like those Russian Olympians as well as those world renowned athletes whom i’ve mentioned above, who discovered the benefits of Transfer Factor in their respective playing career. But of course, we have to start the ball rolling coz if we want him to progress soonest and become a Grandmaster soon, we need to inspire, help and support him. And one help & support i am proposing is to supply him with Transfer Factors and let us see how he progresses. I’m quite positive he will reach his dream in chess sooner than we expect of him. Another thing i’m excited about this product in chess is what Duane Townsend, M.D. had revealed … “The SECRET: “I take high dose of Transfer Factor and 4Life’s Recall which sharpens my mind and has improved my memory tremendously”. Improving MEMORY in chess means, a player will have more chances recalling those studied stored novelties and series of moves that could translate to more wins in a tournament ! Another edge a player could benefit from TF is a SHARPENED MIND to analyze moves and that means a lot during crunch time! 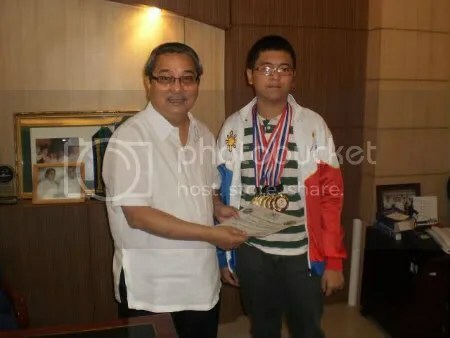 If you are touched, moved and was able to grasped and had recognized this aspect of need of the Philippines’ youngest ever to win the National Junior Chess Championship in 2010 at age 12yrs-3mos-23days, then why not DONATE some amount you are able to send so we could start supplying him with Transfer Factors. ANOTHER PROJECT i’m interested in is to supply Transfer Factor to our CHESS PLAYERS who will be participating in Major Tournaments e.g. Chess Olympiad, Asian Games and alike or if you have another in mind you could specify the name of the player you are going to support and i’ll contact him and deliver the product to him directly. I also plan to publish the breakdown of donations (debit/credit) complete with pics, the turnover of the products to the recipient(s) plus his acknowledgement for transparency. I’m positive that with this solution, it would greatly help our players improve remarkably in their games. Thank you and God bless us all ! Note: For additional information about 4Life Transfer Factor, you could also visit my still being constructed new blog on Transferceutical™ Science and read more about 4Life Transfer Factor. Also … Athletes Endorsement !!! Generally I don’t learn article on blogs, but I wish to say that this write-up very compelled me to take a look at and do so! Your writing style has been amazed me. Thanks, very nice article.